Quick reference cards for all Events, Levels 2-10. Spiral bound book with laminated covers. 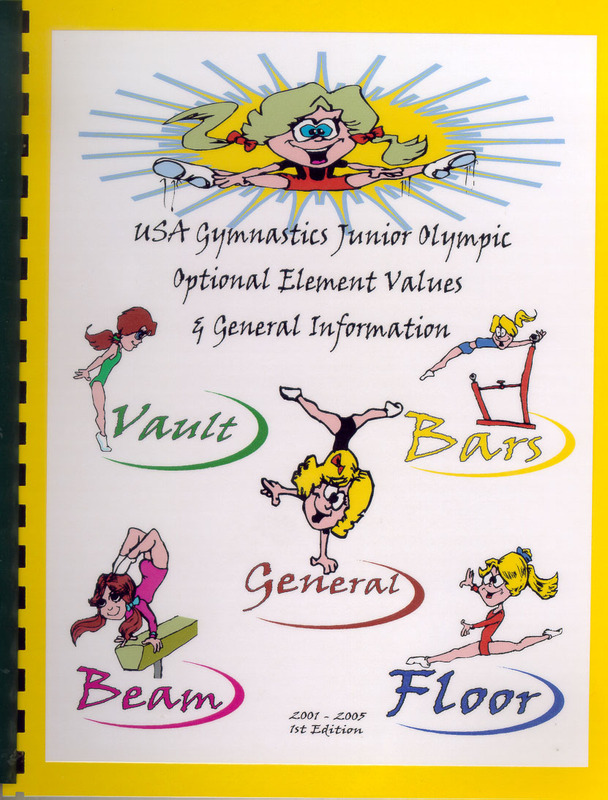 values, and rules for JO Optional Levels 8-10. 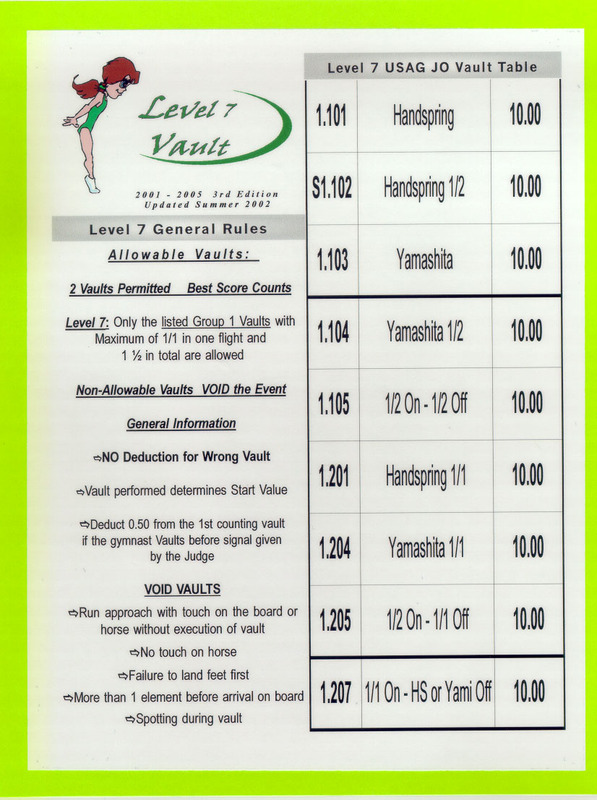 One judging sheet for each event for each Level 2-10. Make your own copies and judge on a sheet with all the rules in plain view. 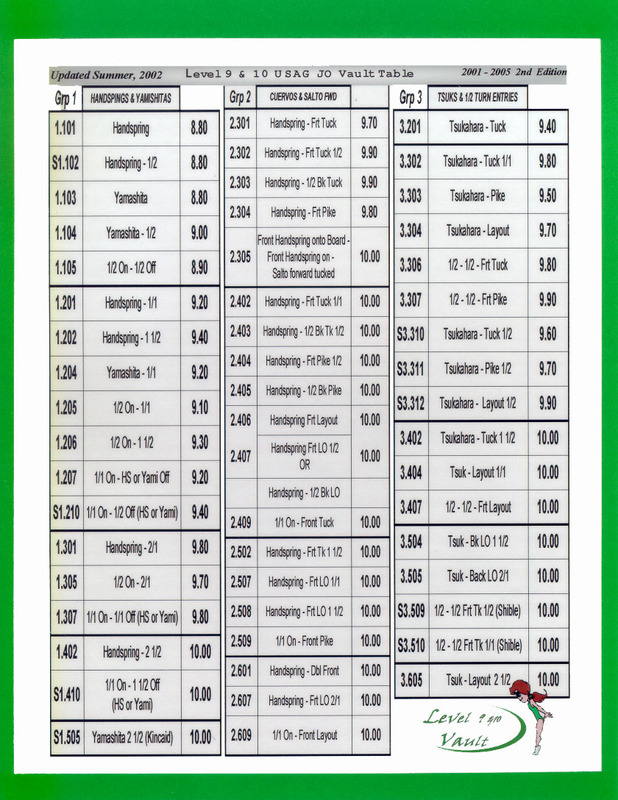 Laminated, large, easy to read JO Connective Value Chart. 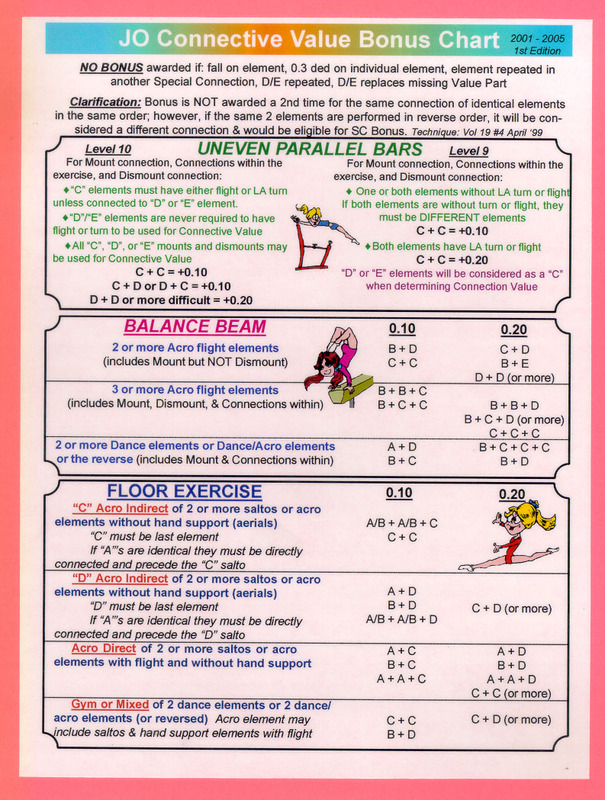 for Levels 7 & 8. Updated for 2002 - 2003 season. 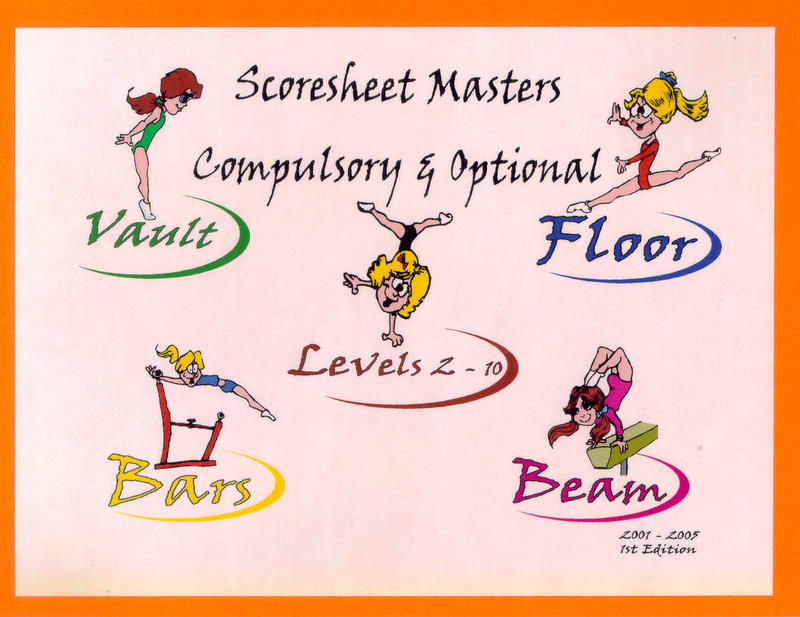 Laminated, large, easy to read, 2 sided Vault Card with all values and rules for Levels 9 & 10. Updated for 2002-2003 season. 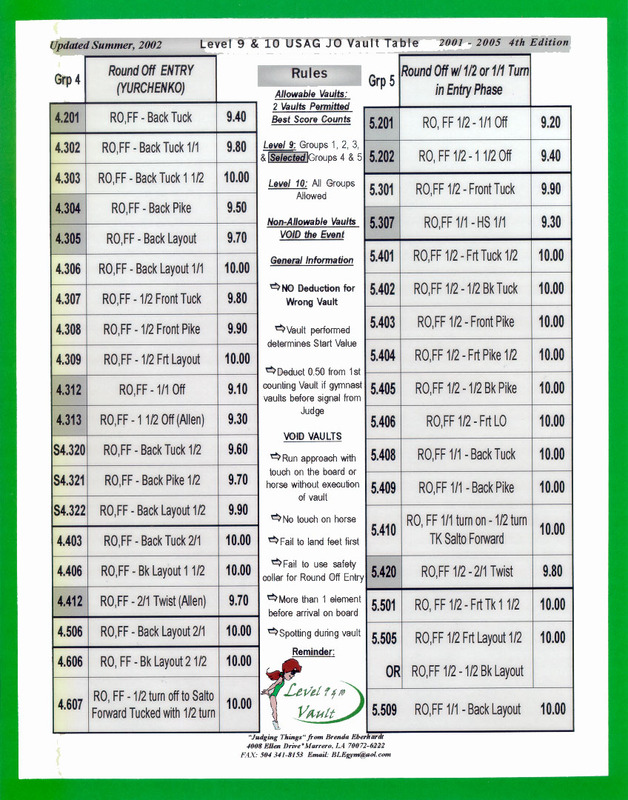 Large laminated card with all rules for timing warm ups, touch, and competition. 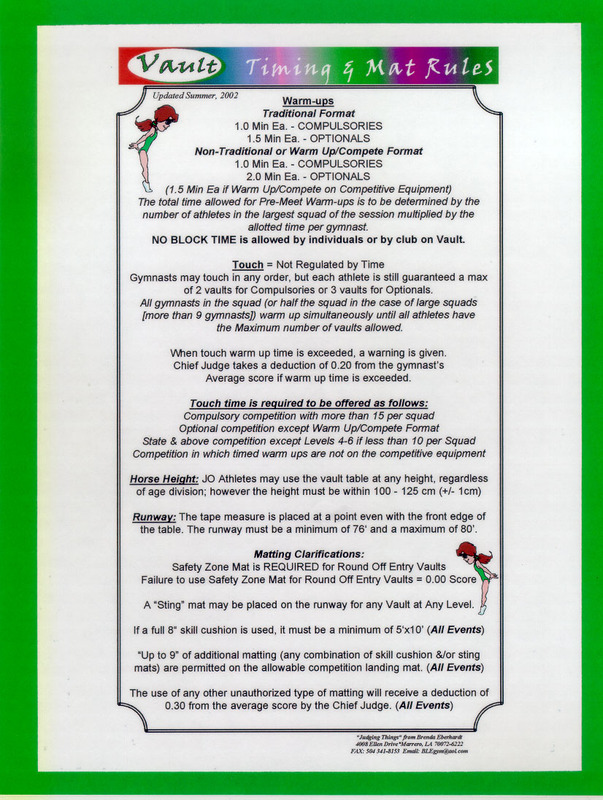 Also includes matting rules and regulations. A must for Meet Directors and Chief Judges! 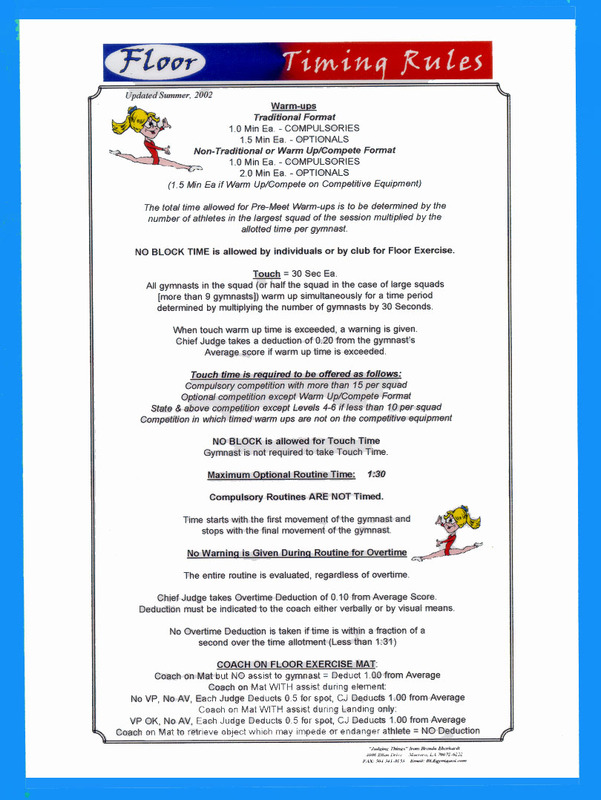 Large, laminated card with all rules for timing warmups, touch, and competition. 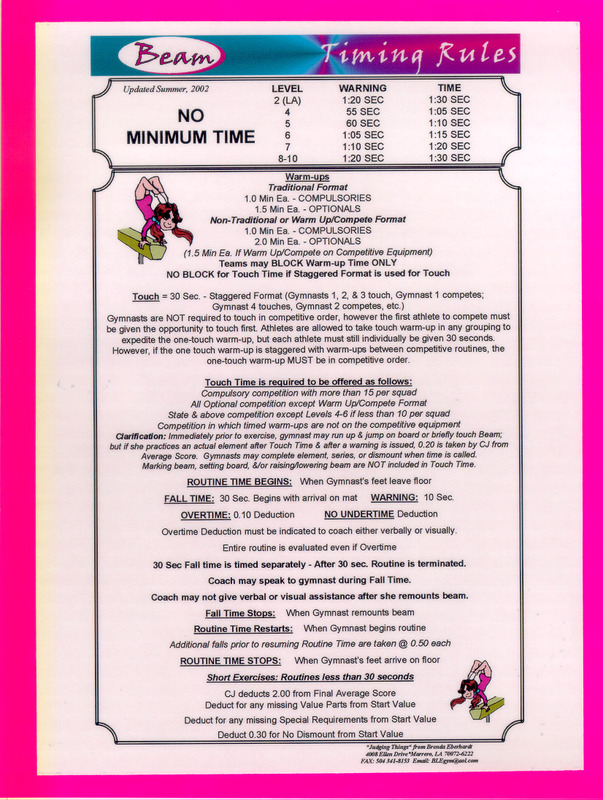 Also includes allowable routine times for each level. A must for all Meet Directors and Chief Judges! 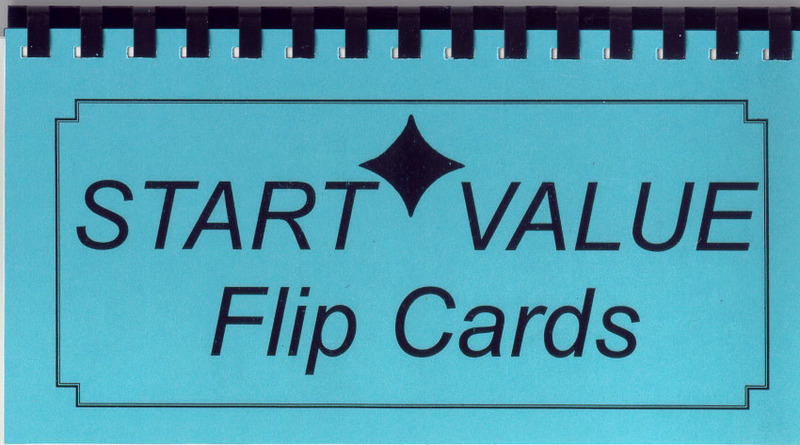 Be prepared for those invitationals that require judges to flash their own Start Value. Fits easily into Judging bag. 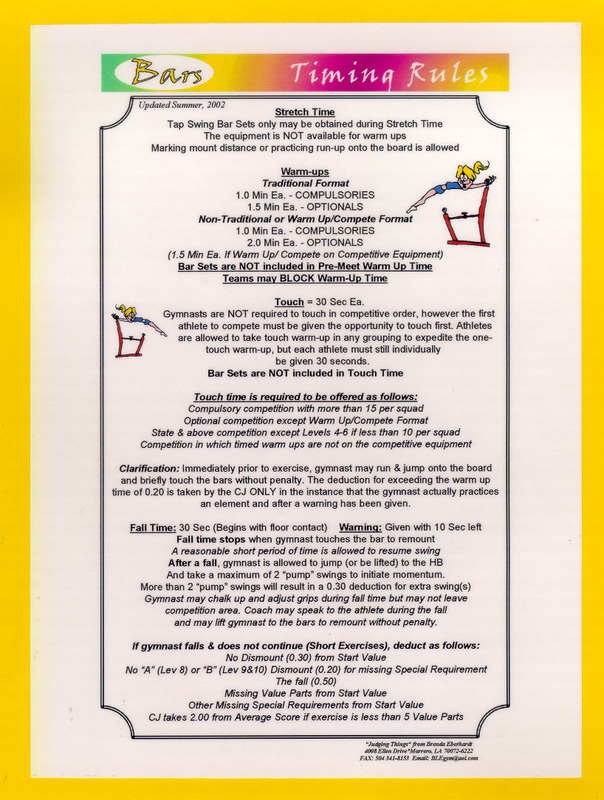 Meet Directors - Be Prepared - Get a set for your Meet! Click here to send a list of items you want to order. Reduce the stress - Get your own "Judging Things"!